​Circle of Joy meets at the Bentley in the Activity Room on the third Tuesday of each month, September through May, at 10 AM. 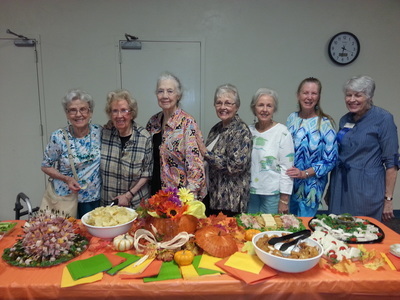 Studies, devotionals and activities centering on mission work round out the meetings. Some members very active in supporting Austin Street Center and Meals on Wheels. Circle of Joy stands ready to welcome new members to its circle. Consider yourself invited to its convenient location of friendly ladies. 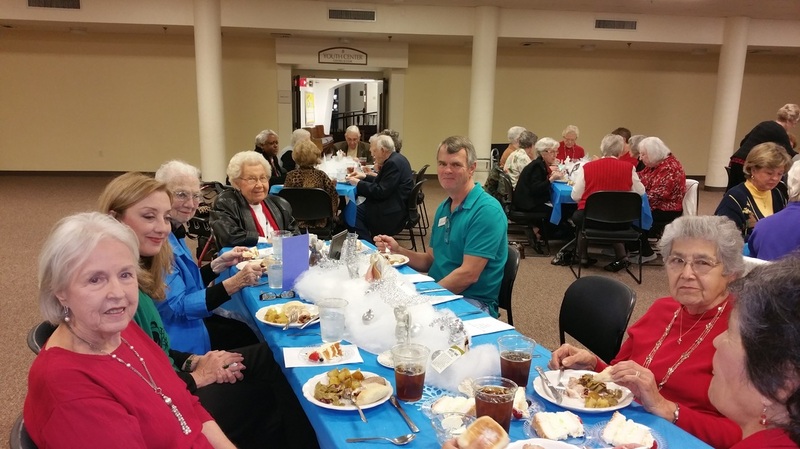 Circle of Joy is known for its hospitality and decorative flair and takes occasional field trips to visit mission sites such as Wesley Rankin and Austin Street Center. In photo below, leaders Beverly Keathley, Lizbeth Harris, and Mary Anne Harris, appear on the front left of a table they decorated for the December 1, UMW General Meeting.